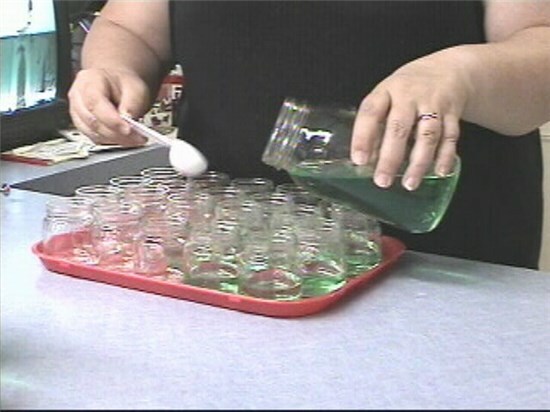 Liquid media can be dispensed with 1 tablespoon measuring spoon. A tablespoon is 15 milliliters. We recommend 30 ml (2 tablespoons) or 45 ml (3 tablespoons) per baby food jar. Agar is added afterwards. One level smidgen spoon for 30 ml and one level pinch spoon for 45 ml. One level pinch spoon of powdered agar.